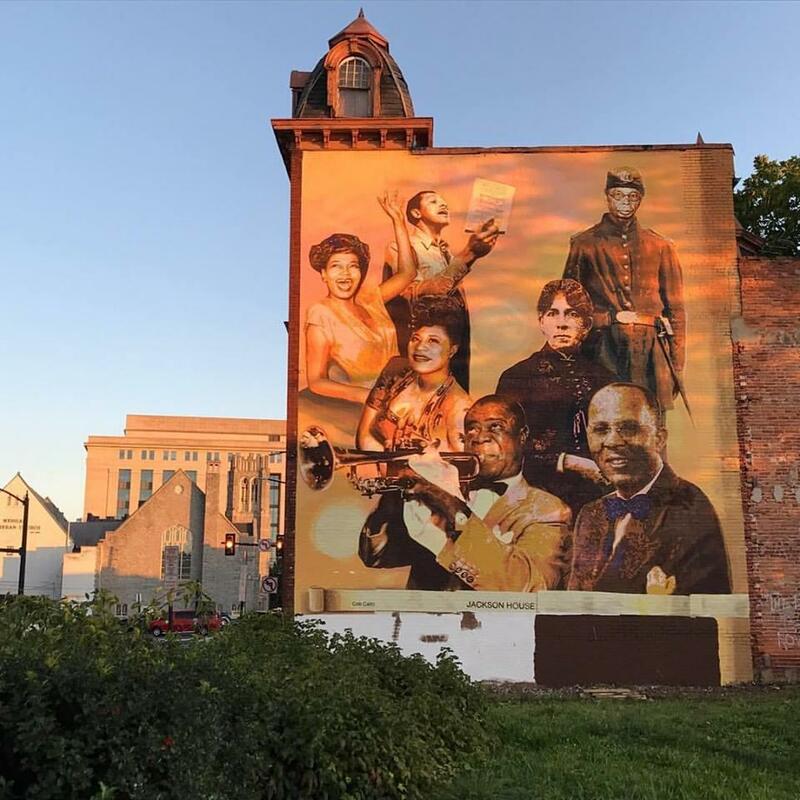 Sprocket Mural Works is a mural project throughout Harrisburg working with neighborhoods, artists, and governmental agencies to create vibrant public murals that tell the stories of our Capital City&apos;s community, culture, and history one wall at a time. 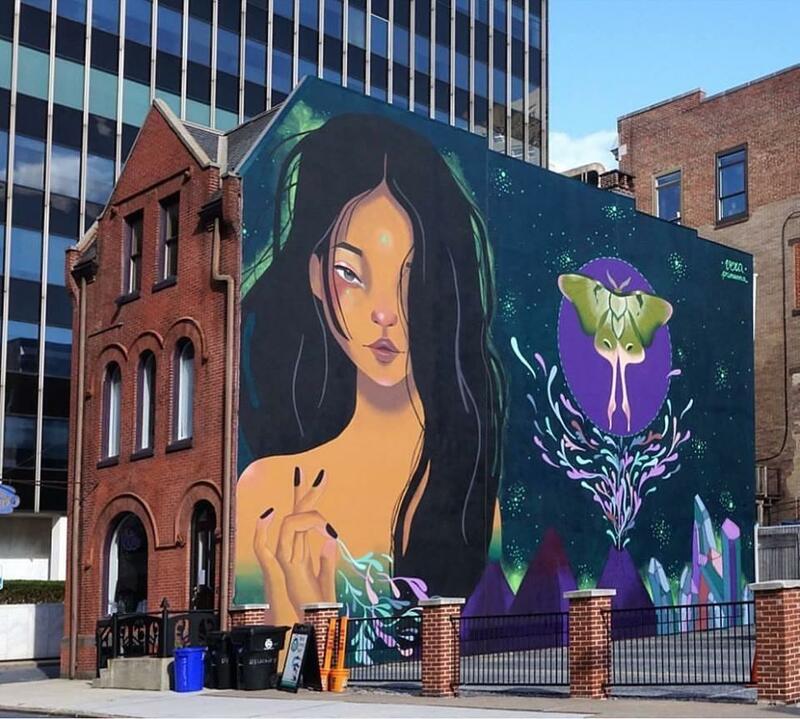 The mission of Sprocket Mural Works, according to founders Megan Caruso and Jeff Copus, is to increase community pride and civic engagement in Harrisburg through united creative action. Above: A mural by artists Aron Rook and Ruben Aguirre located on Blackberry Street and South 3rd Street across from El Sol Mexican restaurant. In September 2017, Sprocket Mural Works produced their first Harrisburg Mural Festival with the goal of creating 10 public murals in 10 days. They not only made their goal, but exceeded it by completing 14 murals plus 5 installations along River Walk. The community-focused city beautification festival included opportunities for the public to help paint murals (pictured above), volunteer to remove graffiti, and meet the artists. Special programs throughout the 10-day event included a Mural Run, a Stylish Bike Tour of the Murals, artist presentations, workshops, and networking opportunities. Muralist Cesar Viveros recruited local residents to help complete his historical mural (pictured above) located at the site of the old Jackson House Hotel. "We have seen the impact that one mural can make on a community and we know that more murals will have a greater impact," said Caruso. Up until this point, Sprocket coordinated projects on an individual basis. 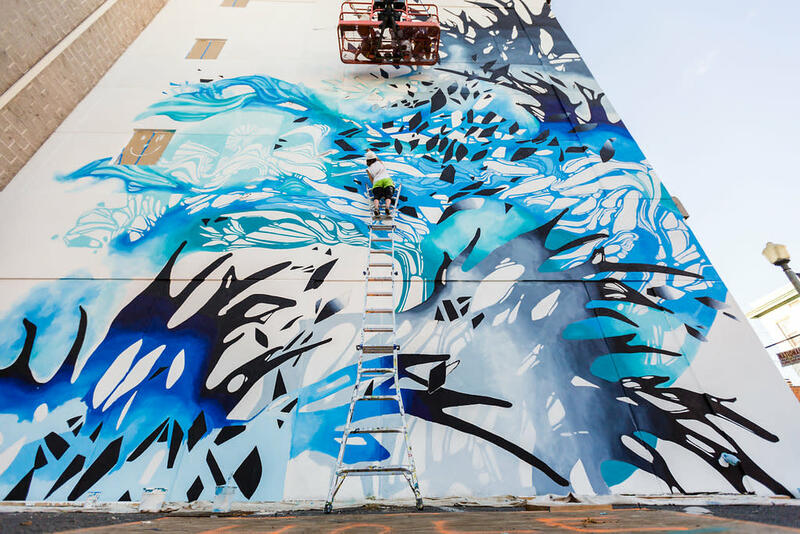 But the idea for a mural festival allowed Sprocket to maximize efforts and achieve more with less. "We can maximize our donation and sponsorship dollars by purchasing supplies and renting equipment in bulk," said Copus. 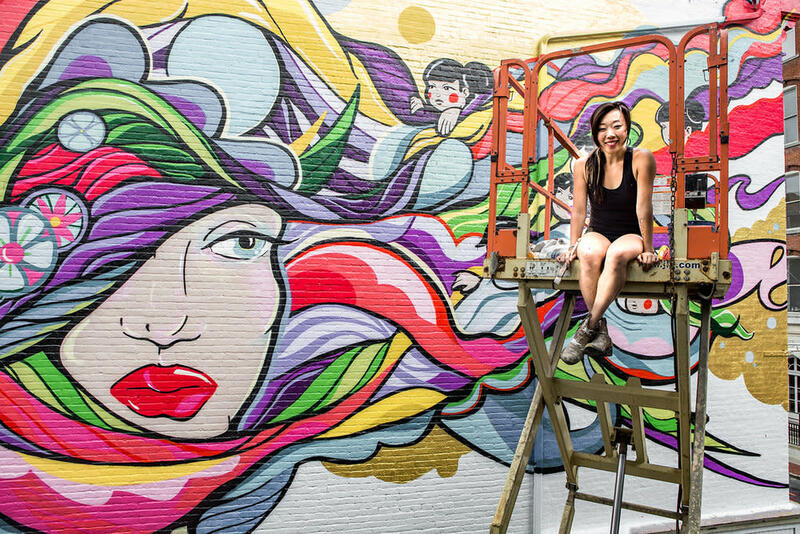 "We can achieve a level of exposure with a mural festival that we could never reach with a single mural – leading to greater visibility for Sprocket, our artists and our sponsors." Above: See the massive mural by Crystal Wagner sprawling up the side of a building in Harrisburg&apos;s Midtown District. The mix of artists, participants and volunteers who are engaged in the mural festival also helped the organization to encourage the creative spirit of the Harrisburg community on a more grand scale, according to organizers. Financial sponsorship opportunities for future mural projects throughout Harrisburg are available starting at $1,000. But organizers say they are also looking for in-kind sponsors who are interested in donating goods or services to support the festival. Sponsors receive benefits such as recognition on festival materials, printed promotions, and invitations to exclusive VIP events during the festival. 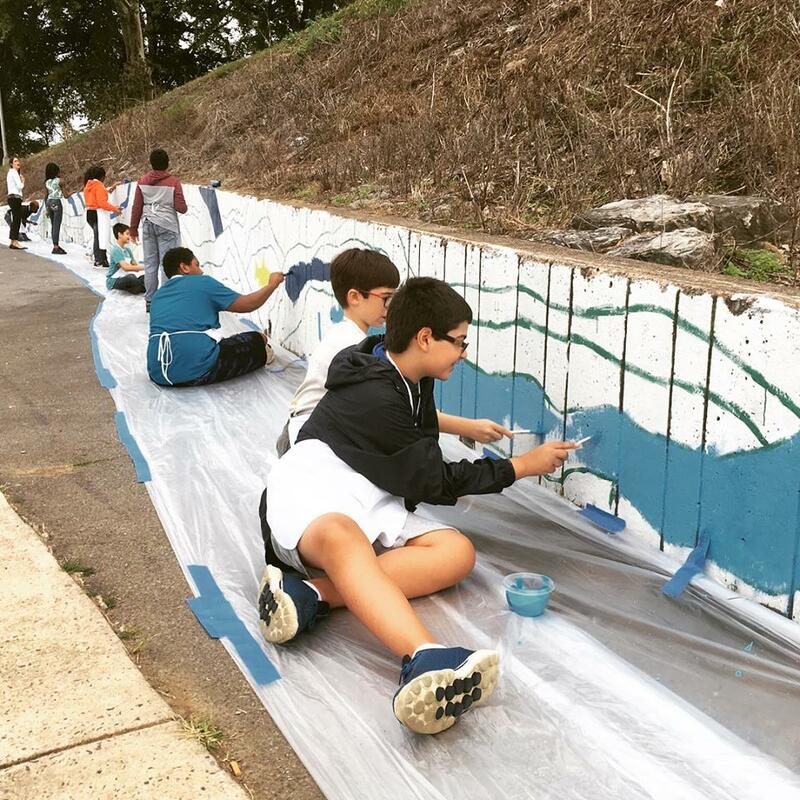 If you are interested in lending future support to the Harrisburg Mural Festival through a sponsorship, please get in touch by emailing Sprocket Mural Works at hello@sprocketmuralworks.com. Above: Mural by Vera Primevera can be seen from 2nd Street & Locust Lane in Downtown Harrisburg, PA.
Find more about Mural Sprocket Works at www.sprocketmuralworks.com or connect on Facebook at SprocketMuralWorks.